London skate brand Palace looks to build on its previous adidas successes with this, another upcoming collaborative model between the two. 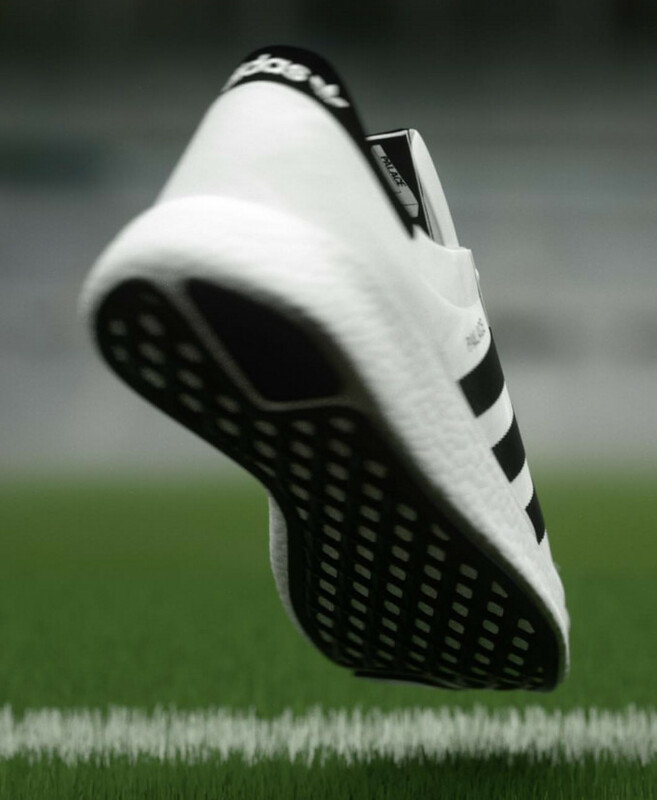 The sneaker is call the adidas Palace Boost Flex, meaning that it again features adidas Boost technology on the cushioning end. Unlike the first couple rounds of sneakers from these two, the shoe here ditches the ZX-style clip around the heel for a cleaner look on the upper. Stay with Sole Collector for word on a sneaker release date for the latest Palace x adidas creation.